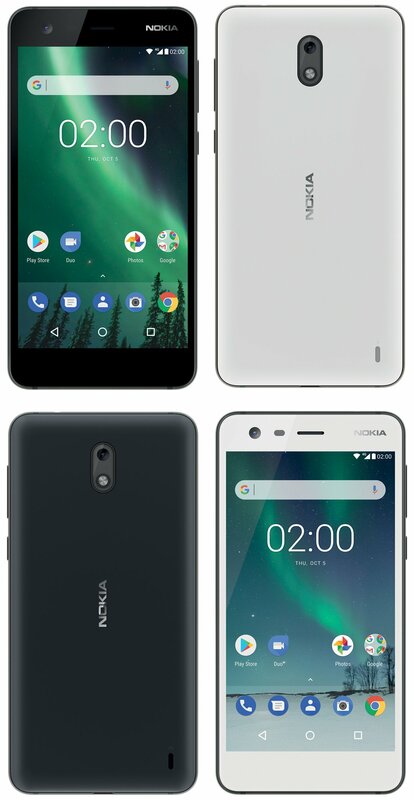 Nokia recently announced Nokia 7 in China which is a mid-ranger packing great specifications like Snapdragon 630, 4/6GB RAM, Glass and Metal body, etc. So, Nokia has launched phones in almost every price segment right now. Nokia 8 is the flagship device, Nokia 7 is a high-end mid-ranger while Nokia 6,5 and 3 are the budget-friendly devices. Still, there are still a couple of more phones to come that include the high-end Nokia 9 and the super affordable Nokia 2. Recently, the Nokia 2 was listed on an online shopping site that revealed the pricing and unsurprisingly, the price was mentioned $99. B&H Photo video, which is a well known US electronics retailer, had listed the phone for $99 but now, the page has been taken down from the site. Listed with the model number TA-1035, it is a dual SIM handset, and there was the option to pre-order the device. The website didn’t mention other specifications, but various listings have suggested a huge 4,000mAh battery and Snapdragon 212 processor. It is a quad-core processor with 4x ARM Cortex A7 cores and a maximum clock speed up to 1.3GHz. It is not like those power efficient Snapdragon 600s since it is based on 28nm manufacturing process and is also for normal usage like browsing the web and social media. Well, it is not a surprise to see such specs for a smartphone price under 100$, but Nokia should’ve gone for any Snapdragon 400-series processor. Anyways, what are your views on the pricing? Do let us know via the comments section.